Parkes, a famed restorer of paintings since 1971, currently heads the established Simon Parkes Art Conservation Co. in Manhattan, splitting his time living between New York City, East Hampton, and Swan's Island, Maine. Most recently, a group of his newest paintings was exhibited at W.M. Brady & Co. in Manhattan in 2016. 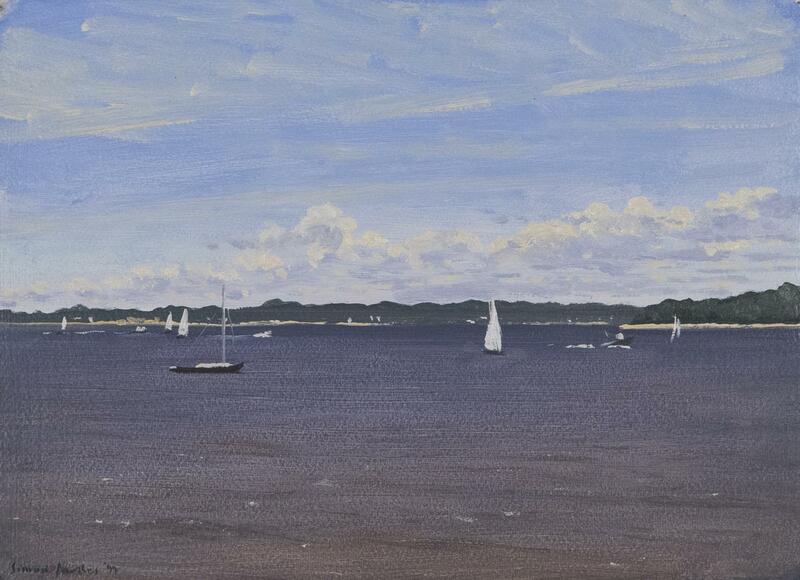 Inspired by the scenic landscapes of East Hampton, Simon Parkes has been exhibiting his picturesque portraits of Long Island since the mid-1990s. 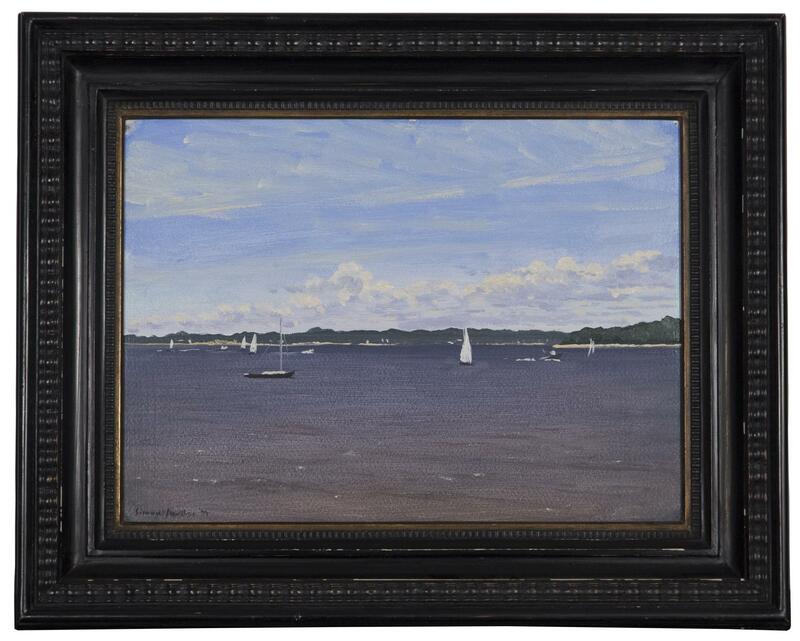 Gardiner's Bay was painted after the namesake body of water that sits between Sag Harbor and Shelter Island.